For a professional looking product, which can compete with imports and is furthermore ready for the export market, adequate packaging is essential. 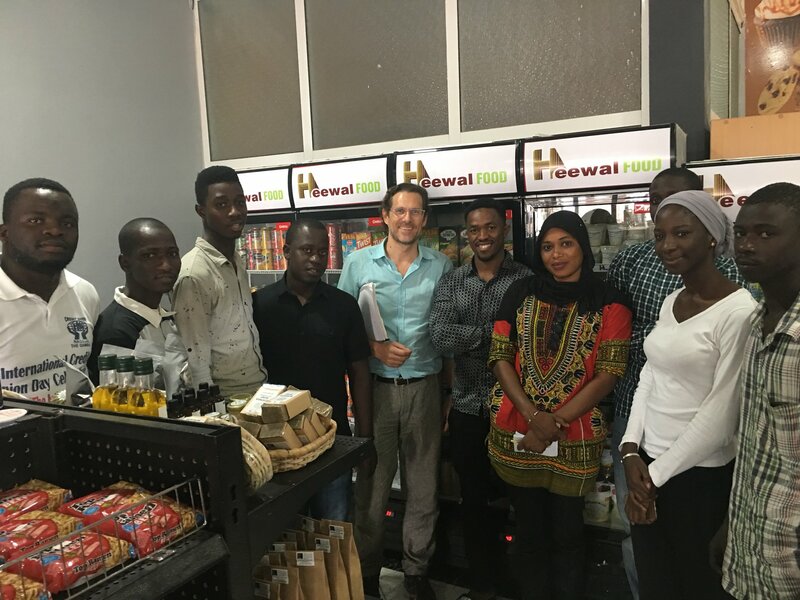 Young entrepreneurs in The Gambia have identified packaging as an important issue with regard to competitiveness and market access, but the absence of a functional packaging industry and the necessary know how have so far prevented advancements. To improve packaging solutions, a training of trainers took place from 24th to 28th September 2018 at The Gambia Chamber of Commerce, building the capacity of 20 trainers who can now provide guidance to companies, governments and other stakeholders on appropriate packaging systems. The workshop was part of the Youth Empowerment Project, implemented by the International Trade Centre (ITC) in partnership with the Ministry of Trade Industry, Regional Integration and Employment (MOTIE) and the Ministry of Youth and Sports (MOYS), funded by the European Union. The training covered a wide range of related topics, ranging from packaging functions, materials, machinery and processes to labelling and traceability, testing, packaging regulations and compliance. Visits to manufacturers of packaging materials and services, printing companies and graphic designers complemented the programme and provided the participants with valuable insights on how to work with suppliers, the constraints of technologies and processes and the requirements to get packaging materials. They were also able to share their experiences and expertise among each other, creating useful networks. The newly trained participants will now pass on their knowledge by replicating the training in their communities, thereby helping more young entrepreneurs with regard to competitiveness and market access of their businesses. As a key pillar before starting other packaging activities in the Gambia, this training formed part of a broader set of activities in the area of packaging, to be rolled out by the Youth Empowerment Project jointly with Gambian partner institutions. Appropriate packaging systems being important for efficiency, profitability and sustainability of domestic supply chains and for private sector growth, the resulting increase in competitiveness will benefit all actors and consumers along the supply chain in The Gambia.